Heather and I are enjoying the CCEF national conference. Though very familiar with CCEF, we have never actual come to one of their big events. It is well-planned and full of good content. We are thoroughly enjoying the city of Chattanooga--beautiful scenery, good eating, a comfortable quirky hotel. During our free time, we got to go to the Chattanooga Nature Center and Arboretum. Next week, I'll post some of Heather's nature photography from that exploration. The theme of this conference is guilt and shame--differentiating between the two, seeing their icky effects in our lives, and finding the joy of freedom from both in the gospel of Jesus Christ. As I've been listening to the teaching, I have been thinking about how shame, especially, is linked to gossip. Gossip is about shameful things. That's one of the reasons why it gets whispered, why it is behind someone's back. Gossip is about bad things that have been done or are going to be done. Gossip is about sinful things that a person has done or has done to them. The person who is gossiping knows that there is shame involved--and they are enjoying it, using it, feeding off of it. Gossip is not a pretty thing (though it's easy to joke about it). There is shame in being a gossip. Good news--God loves the shamed. One of the things that Ed Welch (author of Shame Interrupted) keeps repeating throughout this conference is that God has a special love, an attraction, a passion for those who have experienced shame. Ed says that this may be surprising and counter-intuitive, but it is real--God loves the shamed. In God's gospel, there is covering, cleansing, and inclusion. Those three relate to gossip, too. Covering. "He who covers over an offense promotes love, but whoever repeats the matter separates close friends." (Proverbs 17:9) Love covers. Gossip separates. Cleansing. "If we confess our sins, he is faithful and just and will forgive us our sins and purify us from all unrighteousness." (1 John 1:9) Confession purifies. Hidden gossip putrefies. Inclusion. "A perverse man stirs up dissension, and a gossip separates close friends." Gossip divides. Love unites. This isn't a major revolution of thought, but it is good to meditate upon. When we say "No" to gossip through faith in Christ, we are also saying "No" to shame and saying "Yes" to being like Christ who loves the shamed. Yeah! Heather and I are off to Chattanooga, Tennessee with our good friends Dan and Jen Ledford. We get to travel south seeing the beautiful Fall foliage and then attend the CCEF National Conference. We're eager to go to the main sessions and also the breakout sessions--it looks like it will be hard to choose which ones to go to--so many good choices! We've been looking forward to this for over 6 months, and it's exciting for it to be really here. Thank you, Lanse Evangelical Free Church, for sending us! Blogs I Read: Matt Perman's "What's Best Next"
Matt Perman helps me to figure out what to do. He's a strategy kind of guy (the former "director of strategy at Desiring God") and is always thinking about how to best utilize the time, energy, and resources the Lord has given us. That's why his blog is called "What's Best Next" -- he's all about helping Christians to prioritize. That doesn't come easy for me. I have to work at it. Over the years, I have developed a system that seems to work for me (loosely based on David Allen's Getting Things Done), but Matt's blog-posts are always challenging me to improve that. What I love most about Matt's writings, however, is that he is maximizing effectiveness FOR the sake of Christ and His mission for us. His is not a nebulous pragmatism but a gospel-centered approach to organization and productivity. Matt often says things I don't expect to hear (and I'm not sure I always agree), but I'm always helped by them, and often very encouraged. I never thought much about being a "knowledge worker," until I was into it a few years and buried under a pile of filing, to-do-lists and ineffective planning. But I'm glad to now have a Christ-following guide. I'm looking forward to his book, that is due out soon, but until then I highly recommended blog, especially if you want to be an productive and effective Christian on mission for the Lord. As the saying goes, "Pardon our dust...we are remodeling." 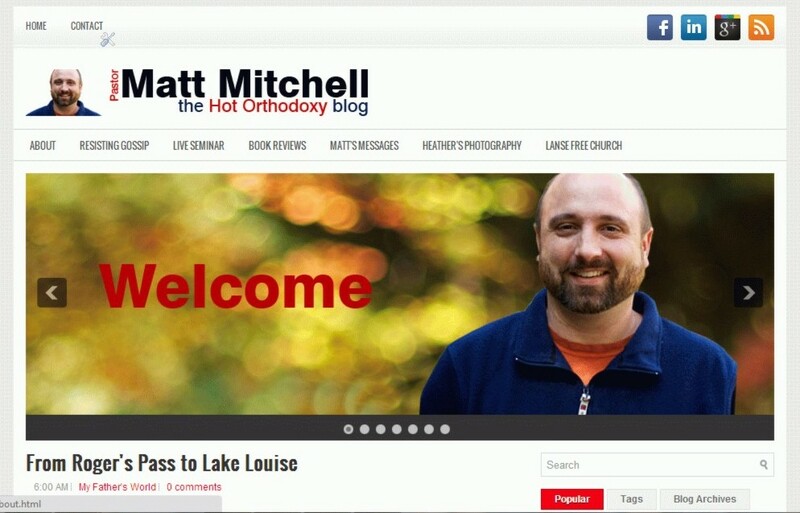 As those of you who have visited the blog today have already seen, there is a new look to Hot Orthodoxy courtesy of Eriksen Web Design, the marketing company of my uber-talented cousin, Laurel Eriksen. We haven't worked out all of the bugs yet, but the new logo (including picture B readers picked from Schenley Pilgram), the new banner carousel with more recent pictures, and other new features are already up and ready to be enjoyed. [Matt's Messages] "The Word of Life"
Last week, I introduced our series, which we are calling “Essential Christianity," and I read to you the entire letter of 1 John. How did you experience that last week? Nathan Kristofits told me that he loved the sermon last week because he got to close his eyes and sit back and relax. I think maybe he had some really good dreams about 1 John! How did you encounter it? Some of you told me that it was hard to follow without reading it yourself. And of course, the first listeners would have been more used to that kind of oral learning, but that’s how they encountered the book. Not everyone had their own copy. It was read to them. Today, you’ll need to open your eyes and look with me at the details of the text. 1 John chapter 1. How did you encounter 1 John last week? Was it uncomfortable? John says some very strong things. That’s strong coffee he’s brewing! But it’s good. Was in encouraging? John says some incredibly wonderful things, almost too good to be true. But they are true! I found myself want to get down deep into the details of the letter to understand it better and to teach it to you. Which is what we’re going to do. Thank you for turning to 1 John in your Bible. This is Pastor Appreciation Month, and I always think that should be re-named Church Family Appreciation Month! You do a great job of taking care of us, and it is a joy to take care of you. One of things I love about this church is that when we say, “Open your Bibles,” you open your Bibles. That’s a great sound for a pastor, the sound of turning pages so that you can put your eyes on the page and your finger on the text. I also want to thank you for sending Heather and me to the CCEF conference on Guilt and Shame this coming week. Please pray for us. Pray for safe travel, of course, but pray especially for Heather’s health. She’s been sick for two weeks and still has no voice. That could make the conference a little tedious, and we’re hoping for it to be inspiring and life-giving. So pray for us as we’re away. Thanks for sending us. Okay, enough other stuff. 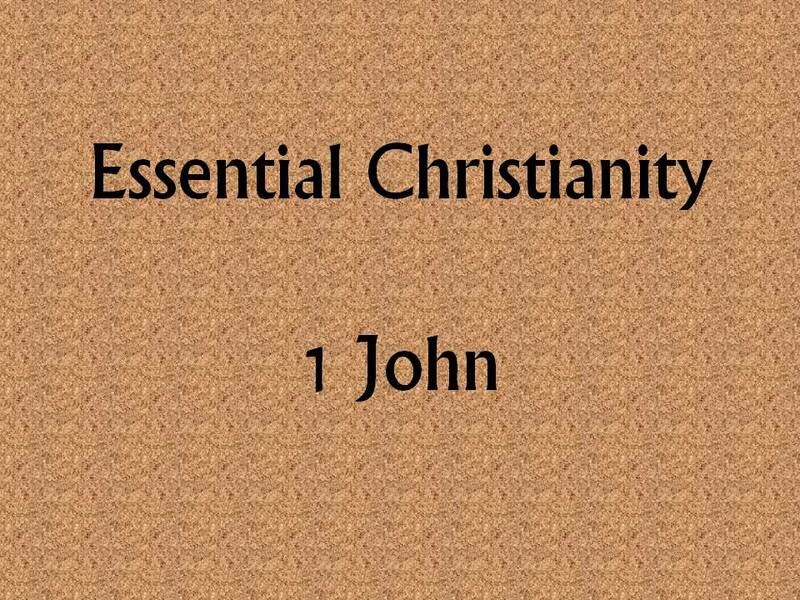 Let’s talk about essential Christianity in 1 John. And we’re just going to study 4 verses. The first 4 verses of 1 John. Let’s read that. 1 John 1:1-4. Wow. Just four verses, but how packed those verses are with power! John doesn’t start his letter in the conventional way. No. He jumps right in there, doesn’t he? Actually, that’s not the real end of the sentence. Verses 1-3a are actually one long sentence in Greek. It doesn’t work in English, but from “that which was from the beginning ... to ... fellowship with us” is just one sentence in the original! John jumps right in there. Those are John-kind-of-words, aren’t they? Just four verses but so packed with power. What I was really struck with as I studied these verses to share them with you was how much they are about what this church is all about. And while it comes from John’s perspective, it could be describing our perspective as Lanse Free Church. I have four key words to describe what this passage (and our church) is all about. We’ll take them one at a time. #1. REALITY: JESUS IS REAL. John is talking about reality. He is insisting that Jesus was real. He and his brother apostles were eyewitnesses and had seen it for themselves. V.1 again. John is saying, “What I am going to talk about (this “word of life”) is something that I have personally experienced. Eyes, ears, and even hands. John is going to come back to this again and again. It’s one of his most important messages. It’s the same message as appears in the prologue to his gospel. I know that the 5&6th graders in Kids for Christ are memorizing that. That’s the Word of life that is being talked about here. The “word” is a message. And this is a personal message, a message in personal form. That’s who John is talking about in 1 John. If you know Genesis 1 and John 1, that’s incredibly familiar. Hear how these fit together? There is still 2 months until Christmas, but this is Christmas. The Word became flesh. Really, truly! God became man! Really, truly! And John saw it, and hear it, and touched it. Remember Jesus told Thomas, go ahead and poke me. Poke your finger right here I my hand and in my side. I’m real. This is real. I really died. I really came back to life. I really came from the Father in the first place! Now, that is incredibly important to say in this day and age. This church is about reality. We are about saying that Jesus is real. Not fake, not made up, not a legend, not just a myth, not just a nice thing we enjoy singing about and then go on our way believing something different to be true. We believe that Jesus is real. The whole thing about Jesus is real! You might be here today and not believe that yet. That’s okay. We’re glad you’re here. But we want you to know that we really do believe that this whole Jesus thing is real. If it isn’t, we are so dumb and so wasting our lives. But we believe it’s real. And we invite you to investigate it. Ask your questions, poke around, make up your own mind about Jesus. We believe that Word of Life is real. And more than that, we believe that we need to tell others. #2. PROCLAMATION: WE TELL OTHERS ABOUT JESUS. That’s what John does, too. What John has experience, he proclaims. And he says, v.2, that he testifies to it. He gives his personal testimony. Just like Andy did today. Just like Lonnie did last week. Just like the men are planning to do at their next men’s meeting on the 5th. This John telling his story in 2012! For 120 years, this church has been about proclaiming Jesus. What know to be true, what we have experienced, we tell others. Now, the application of that, is tell others about Jesus. And it had been too long, I’m ashamed to say. When was the last time for you? When was the last time you proclaimed the Word of Life? When was the last time you gave your testimony? A piece of your story to a lost person who needed to hear it? That’s what our church is all about. We tell others about Jesus. That’s what John was up to. He was proclaiming what he had seen and heard. And that was for a reason. It was for number three. #3. FELLOWSHIP: WE ARE CONNECTED TO GOD AND TO EACH OTHER. John’s proclamation was for the purpose of fellowship. If his readers gladly received his message concerning the Word of Life, then they would be able to enjoy fellowship. If they did not, they would not enjoy fellowship. In this case, the thing in common is the LORD. Fellowship is relationship. It is a vital connection between persons. We often think about fellowship as being a meal. We are just about to have a mouth-watering-fellowship-meal together back that hallway, and I hope all of you stay for it, but also hope that you don’t eat all of the deviled eggs before I get a chance to get back there! But fellowship is more than a meal. It is more than just greeting each other and enjoying each other. Those things facilitate fellowship, but they aren’t our Christian fellowship. Our fellowship is with God! We are vitally connected in relationship with God! Do you see why I said that these 4 verses are all about what our church is all about? Are you connected to God? Our church exists to connect you with God. We get connected to God through His Son, Jesus Christ. And that’s the ONLY way! But all who come through Jesus, get connected to the Father. That’s what Jesus was doing on the Cross. Notice that our fellowship is not just with God but with each other. If you believe in Word of Life, then you may have fellowship with John. Fellowship is more than just connection to God, it’s also connection with fellow believers. Again, that’s what this church is all about. For 120 years we’ve been connecting believers to each other. We’ve not always done the best of job of it. I know I haven’t. But that’s what we’re about. We’re about connecting believers to God and to each other. That’s one of the reasons why, in just a few minutes, we’re going to get our picture taken together. Because we’re a family! We’re connected to each other and we want everyone to feel that way. That’s what families do. Families eat together, too. That’s why we do it. To facilitate that fellowship. By the way, if this is your first Sunday with us, you are invited and wanted in our church family photo. We want to connect you to us and would love to have you get your picture taken with us. We’re going to do it in record speed today. We’re totally ready, and we’re going to jump up here and get it taken and then get to lunch. Are you connected to God and to other believers? John is totally concerned with that question. He’s going to come back to this idea of fellowship in just a few more verses. Do you have a relationship with God? If so, is it growing? And do you have a growing relationship with other believers? We tell others about Him. And that brings us into relationship with Him and with other believers. And that brings us number four. #4. JOY: WE ARE HAPPY IN JESUS. Notice in verse 4 what John says is the reason that he wrote this letter. Now, some of you probably have “your joy” in verse 4, and there is some question about which was original, but both readings amount to the same thing. John wants his readers to have complete joy. And John won’t have complete joy until his readers have complete joy in fellowship with God. Joy is not just a feeling. It’s not the same thing as what we often mean when we say, “Happy,” because we can have a Happy Meal and that’s not joy. But it’s like happiness. It’s the deep-seated happiness that fills our heart when we realize what we have in Jesus. We have everything, everything that matters. And so, we can rejoice. And isn’t that exactly what this church is all about? That’s why we sing together. We are only truly happy if we are happy in Jesus. But if we truly have fellowship with Jesus, we have every reason to be happy! Let’s sing about the faithfulness of our God for to this church for the last 120 years. And that brings us eternal joy! My friend, Nick Black, has recently published some mini-books with New Growth Press. 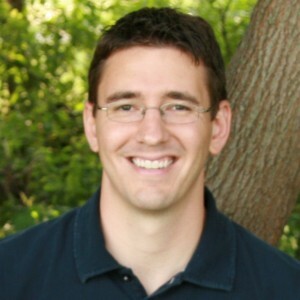 Nick works for Harvest USA, the group I've recently mentioned that helps the church to deal with sexual brokenness. 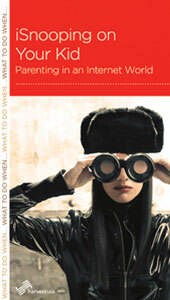 Today, NGP has put iSnooping on Your Kid: Parenting in an Internet World up on ISSUU to read for free all day Friday. Looks like a good read for those of us whose kids are just starting to get internet savvy. Last week, my book on resisting gossip was simultaneously submitted to 19 evangelical publishers for their consideration. Exciting! We've heard back from 5 of them already. Disappointing! Of course, we expected to receive rejection notices, and they have all been gracious and winsome--some have even offered suggestions of other publishers to consider. It's nice to know what they think--and whether or not my book is a good fit for their catalog. But it's still not fun to receive a "no" in your inbox. - I remind myself that there is nothing at stake, nothing to lose. This book is not ultimately "mine," and is at God's disposal to do what He wills. - I remind myself that my identity is not in being a published author (just as it is not in being a pastor or even in a being a husband or daddy). My identity is rooted in being a child of God. - I remind myself that this whole thing is a story-being-written and an adventure. No adventure is worthwhile if it doesn't have trials in it! - I remind myself that this is another way God is using to draw me to Himself in prayer and faith. - I remind myself that I only need 1 publisher, not 19. - And I remind myself that all great authors, including Snoopy, have dealt with rejection notices. Blogger and Christian literary agent, Steve Laube, recently posted these cartoons about the rejection that the great author Snoopy has received, but with a twist. Laube had discovered why he was getting so many rejection letters. Steve Laube: "What Snoopy didn’t realize is that he was sending his material to this editor:"
Blogs I Read: Steve Sorenson's "Everyday Hunter"
My friend Steve Sorsenson is an EFCA pastor, but his blog isn't normally about church, spirituality, theology, pastoral ministry, or anything like that. 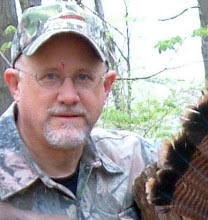 Steve is also an outdoor writer, and writes a regular column called Everyday Hunter. At Steve's blog, if there is a review, it isn't about a Christian book, it's about a hunting knife or a book on how to cook venison. He writes about hunting, the science of deer management, the politics of hunting, and appreciation of the great outdoors. This week's installment is How to Inoculate Yourself Against Buck Fever which every hunter can identify with. If you pay close attention, however, you'll find that Steve is talking about the Lord--his faith permeates everything he does, including enjoying his outdoor world. Our men's ministry has asked Steve to speak at our Wild Game Dinner this coming February. Most readers know that I'm a very raw rookie when it comes to hunting in general but Steve is an old hand. I'm looking forward to hearing him teach. Readers of this blog will know that I believe the Bible teaches that men and women are fully equal in worth and value before God, co-heirs in salvation, and also have distinct roles in both the home and the church. That teaching is often called "complementarianism," because the two genders complement each other as they live out their callings. Not every Christian agrees on this, and there has been much confusion about the term. And, sadly, complementarianism hasn't always been practiced in a robust and careful way, living out all of the rich contours of the biblical truth on gender in the complexity of modern life. 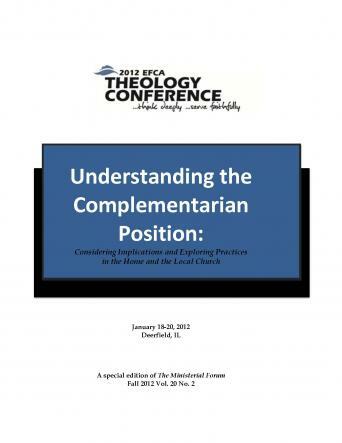 Last year, our EFCA leadership tackled this issue in a Theology Conference held at Trinity, my alma mater. Speakers and panelists both affirmed complementarianism and critiqued its practice in our churches. Great idea! Panel Interaction #2 - "Equal in Essence and Dignity, Distinction in Roles: The Home"
Panel Interaction #3 - "Full Use of Gifts within God’s Ordained Structure: The Church"
But if you don't have or want to take the time to listen to all of that, our Ministerial Association just published an edited print version of the conference, especially the main lectures. Very worth the time to read. 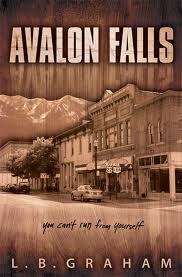 For both of you readers who have been wondering what I thought about Avalon Falls and The Kingdom, which I read on vacation last month. Bottom line: I enjoyed them both but was disappointed in them, too. Both were great attempts at writing Christian fiction--and I loved what the authors were trying to do, but I thought they fell short in their artistry. The Kingdom was more artfully constructed and is part of a larger trilogy. Again, I love what he was trying to do, but the premise never really "worked" for me. Fun to read and see what he did with his big idea, but I never really came to love the characters or even actually care about them that much. I think that other readers will disagree with me on this--several people at our church are reading them now and can't put them down. Good, engaging Christian fiction is hard to find (and, I believe even much harder to write--I could never do it), so applaud these authors in what they are attempting. I'll keep buying and reading their books. That's the only way to encourage continued growth. Ken Sande, the founder of Peacemaker Ministries, has just launched a new ministry called Relational Wisdom 360. He says, "Relational wisdom may be defined as your ability to discern emotions and interests in yourself and others, to interpret them in the light of God’s Word, and to use this insight to manage your responses and relationships constructively." Very interesting. Sande says that after years of helping people deal with conflict, he wants to focus energy now on what is "upstream" to most conflicts. I look forward to learning more about RW in the days and years ahead. Check it out. Heather has agreed to allow me to periodically post some of her nature photography on Hot Orthodoxy. This will increase the amount of beauty on this blog by 1000%. These pictures will all have the label My Father's World because all nature sings about the glory of God and exists, at least in part, to lead us into worship of Him. And earth and heav'n be one. 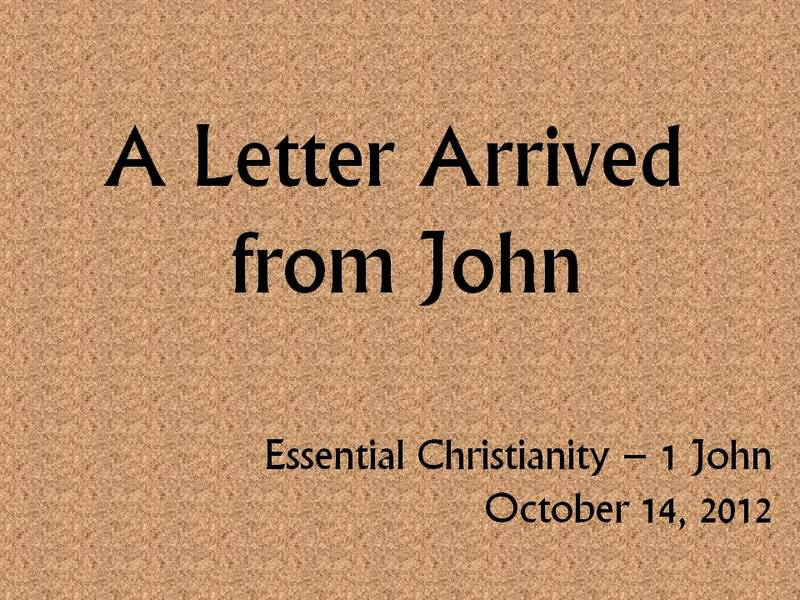 [Matt's Messages] "A Letter Arrived from John"
Now, this is the time when I normally tell you to turn in your Bibles with me to some particular book, but today, it’s going to be a very different message. We are going to be starting a new sermon series on a new book of the Bible. And the book is First John, which starts on Pew Bible Page #1207. But, like I said, this is going to be a very different sermon time today. You don’t have to turn with me to 1 John. I’m going to read the whole thing to you. Well, it’s been quite a while since we studied a New Testament epistle together. We’ve been in the New Testament with Luke and Acts, three years running. But we haven’t spent much time in the epistles. Anybody remember what an epistle is? We found out at Family Bible Week one year that an epistle is not a female apostle. What is an epistle? It’s a letter. Does anybody remember when I preached through the book of Titus? That was the last NT letter we worked through together. It was in the year 2008, if you can believe that! So, it’s high time that we returned to the New Testament epistles. And I’ve never preached through 1 John before. I’ve preached from it, it’s one of my favorite books in the Bible, but I’ve never preached all the way through it. 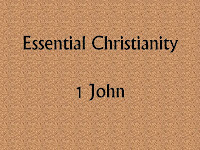 1 John is all about the essentials of Christianity: the essential things to believe, the essential things to do, and the very essence of Christianity. And who doesn’t need that?! One of the things I love about 1 John is that it uses incredibly simple words in incredibly profound ways. This book is about life, light, joy, love, truth, sin, world, devil, darkness, fellowship, hope, children, God. Those are short little simple words but so full of meaning. I love to memorize verses from 1 John. It is eminently memorizable. I’ll bet that if I started a few sentences, you could finish them for us. Those are all from 1 John, and much of the rest of it will be familiar to you, as well. It’s that kind of a book. I’m looking forward to getting into it with you. But this morning, I’m basically just going to read it to you. Because 1 John was not sent as Facebook Status Update or a Tweet on Twitter. It as sent first of all, as a letter. Now, this letter was different from most letters. It wasn’t signed, and it wasn’t addressed. The oldest copies of 1 John do not bear his name or the name of the recipients, but tradition (and internal evidence) has it that it most probably came from the disciple of Jesus named John son of Zebedee. The disciple whom Jesus loved, a member of His inner circle. One of the first witnesses to the empty tomb, and the author of both the 4th Gospel and the book of Revelation. I believe that is who wrote this book. It sure seems like it from its wording, its themes, and its style. A letter arrived from John. It didn’t say “1 John” on it like this one does, and it wasn’t very thick or long. It was probably rolled up in a scroll and hand-delivered to a local church or group of churches that John cared for and exercised some authority over. It was, apparently, written to a church where some of the people left believing a different gospel than John had taught them and who were enticing the believers to follow them instead of the truth. They were teaching a gospel with a different essence to it, and it was dangerous to them. It was a false gospel with theological traits that eventually grew into something big and ugly and dangerous called Gnosticism. And those lies are still at work in the world today. 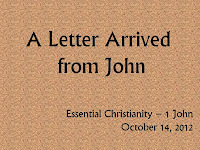 So, John takes time to write this church or group of churches a simple but profound pastoral letter. And he does it because he wants them to grasp (and not let go of) the essence of genuine Christianity. He wants them to have joy and eternal life and fellowship with him and with God. And He wants them to KNOW that they have joy and eternal life and fellowship with God. 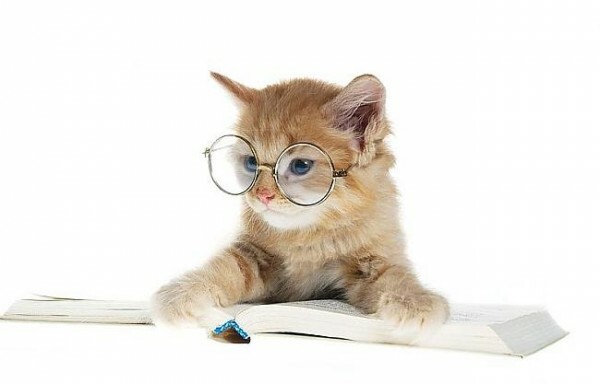 Now, I’m going to read it you. And I would suggest that you close your Bible and just listen this morning with your ears. Next week, use your eyes as we get into the details of the text. But the first people who encountered this letter probably encountered it first with their ears. A letter arrived from John and the church assembled on a Sunday like today, and one of the elders probably read it out loud to the church. Let’s pray together, and then I’ll read it to you in English. This is the word of God. 1 John. Can you imagine what it would have been like to hear that read the first time? Life, light, joy, love, truth, sin, world, devil, darkness, fellowship, hope, children, God. I invite you to join us the next few months as we learn together about the essence of Christianity. Just as I expected, the newest issue of the JBC is full of winsome wisdom. 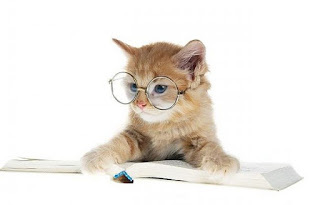 I've already been helped by Dr. Powlison's lead-off editorial, A Moderate Makeover. It even tempers what I call "Hot Orthodoxy" by reframing what we mean by "hot." Powlison says,"The Holy Spirit seems on fire to produce a life afire with rather unfiery things." Read the whole thing and tell me what you think. Blogs I Read: Scot McKnight's "Jesus Creed"
For the second installment of this new series, I wanted to introduce you to a blog that is radically different from the first one (at least, in viewpoints). 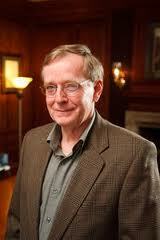 Scot McKnight was a professor at Trinity when I first got there, but he soon moved on to a new post. The closest I got to him then was reading a book on how to interpret the New Testament (his speciality) my first year in seminary. Now in addition to writing and teaching, Scot blogs at Jesus Creed on the Patheos blog network. That's where I have gotten to know him the best. I was introduced to his blog through my friend, Bob Robinson (another blogger who I'll tell you about some day). Scot is a prolific blogger and is very generous. He gives a platform to other writers and points people to their works. He is very gracious and tries hard to offer a middle way between extremes. 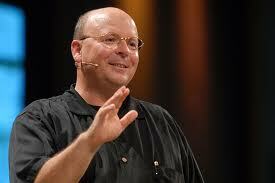 So, why do I read Scot McKnight, and should you do so, too? I read him because he makes me think, because he's careful in what he says, because he tries hard to understand and correctly represent his opponents, and because he is an influential Christian brother. Just because I frequently disagree with him, doesn't mean that I don't learn from him. We shouldn't just listen to people we agree with, should we? Ruth Bell Graham once said that if two people in a marriage agreed all of the time, one of them wasn't necessary. Of course, we need to read with discernment and think for ourselves, but it's also good to listen to what others are saying and to have good conversations. I almost never read Scot's blog for "what to think," but it's a great place to find out "what people are thinking," and to cause me to do some myself. If you like (or need) some of that, then read Jesus Creed. By the way, Scot also has an interest in gossip. He has posted on the topic multiple times, including an insightful review of Joseph Epstein's book of essays on gossip published last year. Because of that, I wrote Scot and asked if he would be willing to read and endorse my book. And just as I expected, he responded quickly and graciously. Even though he couldn't read or endorse my work because of time constraints and priorities, he looked forward to reading it when it came out. A classy, generous man. I'm rubbing my hands together right now because I just got to break open the latest copy of the Journal of Biblical Counseling from CCEF. Living in a culture that gravitates toward sensationalism and exaggeration can create confusion as to what Christians should be aiming for in their walk of faith. Is an extreme makeover needed, or just a moderate one? 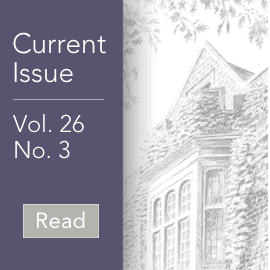 David Powlison offers an altogether reasonable answer, and we trust that this issue of the JBC will contribute to the kind of makeover that God intends to do in the lives of our readers. “Are You Feeling Inadequate?” is a pastoral letter from Ed Welch to biblical counselors. Certain stock criticisms of biblical counseling occur and recur. Welch puts his finger on the key criticisms and offers clarifying answers. He encourages pastoral counselors and bids to improve the conversation with more clinically-oriented Christian counselors. I'm sure there is a lot of wisdom to be had. Which just whets my appetite for the conference coming in less than 2 weeks! [Matt's Messages] "Ruth and Jesus"